Looking for a luxury villa holiday? Villanovo’s team of villa experts hand-pick the perfect property for your trip and use a blend of industry know-how and local knowledge to give you a premium, pain-free experience. Their breath-taking choice of destinations now include Morocco, Mauritius, Ibiza, Bali, Rio de Janeiro, Croatia, Sri Lanka, Greece, Italy, South Africa, and the stunning mountains of the Swiss and French Alps. Here we’re delighted to present some of the top picks for a perfect villa holiday in Portugal. 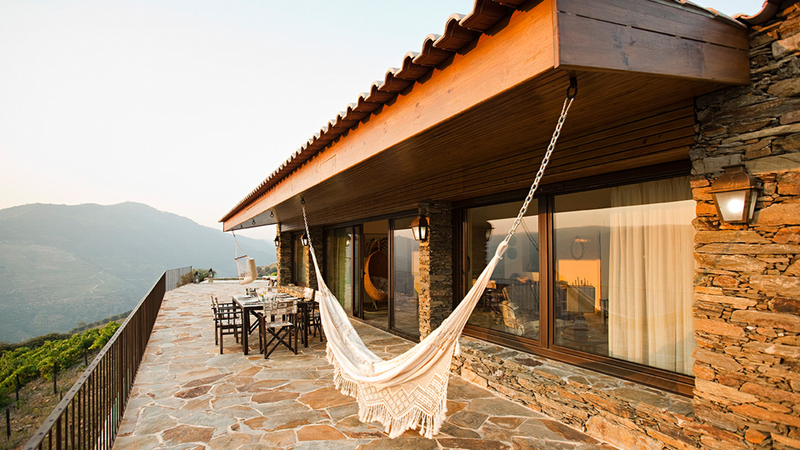 Nestled in the famous Douro Valley, Villa Folgosa promises the perfect family escape. Guests can enjoy the region’s incredible wine, rural charm and spectacular views over the Douro River. The villa’s exquisite design uses traditional materials and local stone to create the perfect space for relaxation. 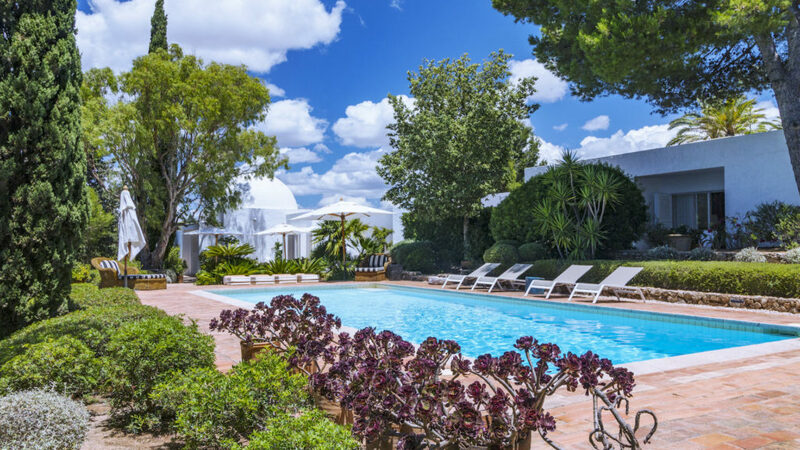 Guests can cool off in the private infinity pool, enjoy lunch in the beautiful gardens and wind down with a glass of local Port on the spacious river-view terrace. Villa Folgosa is beautifully furnished and extensively equipped across the three bedrooms, two bathrooms, kitchen and spacious lounge/dining area. 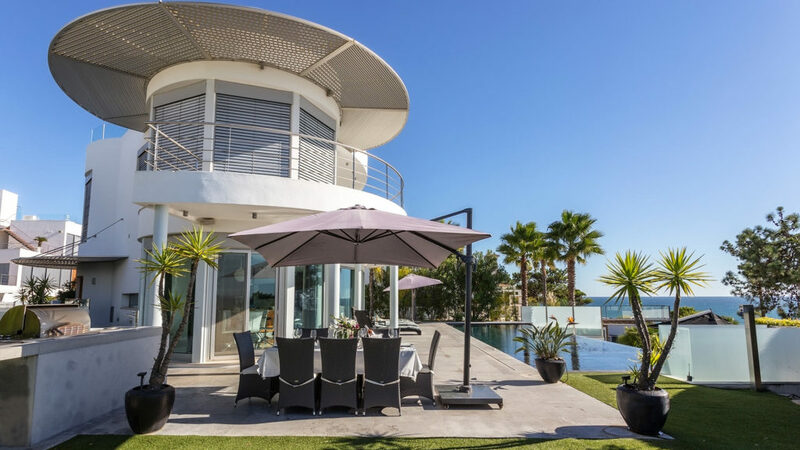 Villa Minka is a contemporary five-bedroom home located in the prestigious Vale do Lobo resort. Guests can enjoy easy access to the extensive facilities and are just a short walk from a stunning string of sandy beaches. Two of the region’s best golf courses, fifteen first-class restaurants and a range of boutique stores will keep guests busy as they explore this serene stretch of the Algarve. The two master bedrooms boast modern ensuites, opening onto a beautiful balcony which overlooks the Atlantic. Enjoy a glass of local wine from the roof terrace, Jacuzzi or infinity pool while soaking in the 360 views of countryside and coastline. Villa Cliff is nestled on the edge of the small village of Carvoeiro, just a stone’s throw from the beach. With its 180 degree views, the villa’s four hectares of beautifully maintained gardens make for a tranquil stay and provide a place where guests can enjoy a glass of wine as they wander between the olive trees. The villa’s courtyard boasts a stunning water feature, dotted with pots of giant cacti and overlooked by the fully staffed living quarters which includes a cook and daily house cleaning. Guests reside in six ensuite bedrooms with the master bedroom opening onto the extensive pool area. ​A small path beside the tennis court takes you directly down to the beach. 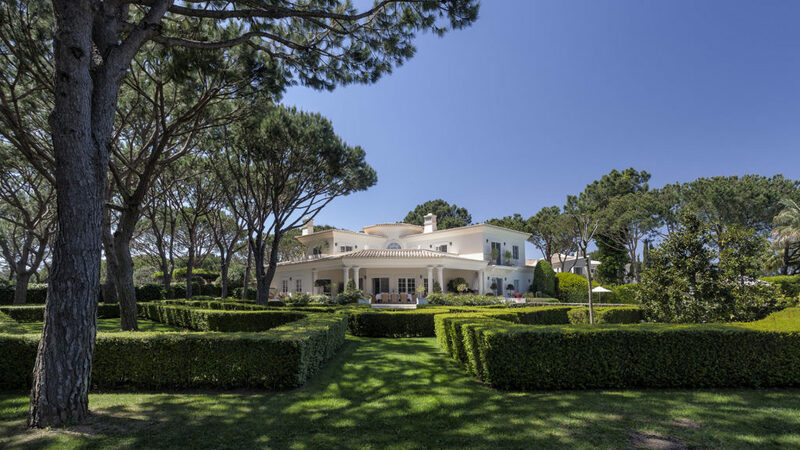 Villa Vanilla is a lavish five-bedroom home with stunning gardens in the exclusive area of Quinta do Lago. This decadent space guarantees complete luxury with its stylish decor, private swimming pool, landscaped gardens and stunning views over the fairways of São Lourenço Golf Course. Recreate your favourite Portuguese dishes in the fully equipped kitchen or alternatively, lounge on the rooftop terrace as your personal cook prepares you a feast. The villa boasts four spacious ensuite bedrooms with the master bedroom overlooking the pool area and the fifth bedroom making for the perfect hideaway for the kids after long days at the beach. Perched atop a cliff, Villa Somptuosa promises complete luxury for its guests. The property has been lovingly designed using bespoke furniture, art and technology to create an unrivalled sense of contemporary luxury living. Enjoy breath-taking 180 degree views across the Atlantic and stroll across the manicured lawns to find a set of steps which take you directly to the beach. The vast custom-built infinity pool boasts its very own bar with underwater bar stools and a poolside Jacuzzi for guests to enjoy a cold beer. Built across two levels, the villa has five ensuite bedrooms in the main house and three ensuite bedrooms in the adjacent guesthouse.